Soul Speak, run by Megan Adams (certified BodyTalk practitioner) is your catalyst to perfect health. The goal is to get you feeling better with more clarity so that you can start living a life you LOVE! Megan works on all levels – addressing imbalances from the physical, emotional and spiritual states. The every day stress we feel from our work, toxins in our environment, electromagnetic frequencies, trauma (and did I mention stress?!) creates disharmony in our bodies resulting in dis-ease and imbalance. Working within the BodyTalk framework and incorporating various other healing modalities, Megan assists your body in shifting energetic blockages. When you can shift those energetic blockages you shift — as do your relationships, business, and projects so that you can thrive more fully and become more inspired, confident and self-aware. 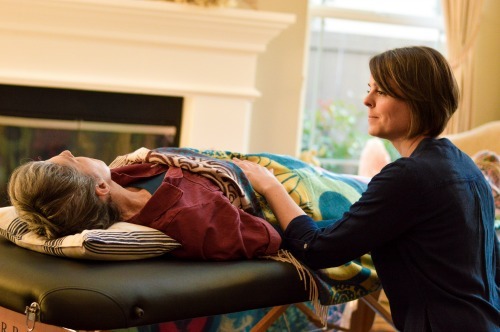 A BodyTalk session is non-invasive and relaxing as I connect in with your body’s innate wisdom, helping to restore communication between the complex systems of your body. This aids with stress, pregnancy symptoms, physical trauma, allergies, auto-immune disorders, insomnia, concussions, foggy-headedness, arthritis and really...anything! In-person sessions: These begin Wednesday, February 22, 2017 at the Acupuncture & Wellness Center: 1190 Suncast Lane, Unit #9 in El Dorado Hills, CA. Phone sessions: At predetermined time we have your session over the phone/skype. Lasts for 45 minutes to 1 hour. I email you the session notes. Remote sessions: I call these the magical sessions! I run your session using a surrogate (your hologram or a stuffed animal). I email you the session notes. Animal Sessions: I am working towards my certification and looking for case studies. Please contact me if you are interested in participating - megan@soulspeak.co. 1190 SUNCAST LANE, UNIT #9 in EL DORADO HILLS, CA. Remote sessions will be done on the day you book, or within 24-48 hrs. I will email you the session notes once complete. Please note, that Remote Sessions are done without you having to be *physically* present either in person or on the phone. I tie into your energy (aka hologram) or use a surrogate (like a stuffed animal) to represent you in the session. I like to call these *magical remote sessions* because they work so darn well! Too weird? That's okay! Book a "Phone Session" instead! Animals use behaviors to let us know they are under stress or feeling unwell. We often miss these signals and view it as behavioral issues when the animal is really just letting us know something is going on with them. BodyTalk is a very effective way to help bring the animal into their natural, healthy state. Phone sessions are done over the phone or via skype at a convenient and quiet time for you during the day. This session will focus specifically around you and your business. It will identify and balance blockages, uncovering paths to move forward. Remote sessions will be done on the day you book, or within 24-48 hrs. I will email you the session notes once complete. Please note, that Remote Sessions are done without you having to be *physically* present either in person or on the phone. I tie into your energy (aka hologram) or use a surrogate (like a stuffed animal) to represent you in the session. In a Family Matrix Session, Megan uses BodyTalk principles and techniques to help promote understanding and balance between the most complex system of all...your family! Limited to Remote or Phone sessions and only one representative of your family is required but permission must be granted from all members of the household. Pets included! This is the perfect way to get clear direction for your healing & spiritually-based business in 2017. Drawing on her extensive knowledge as a business owner & marketing consultant, Megan is able to powerfully bridge the esoteric advice with the practical business side, helping you fit together all the moving pieces with an action plan to help move your business or project powerfully forward. The reading will address specific questions you have on your life: purpose, relationships, career, abundance, past lifetimes, blockages. These readings can be conducted over the phone or remotely via email.